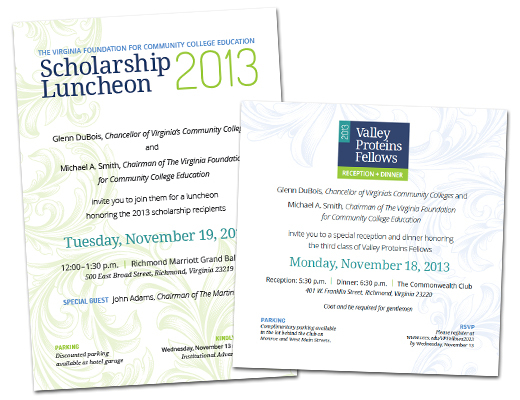 Virginia Foundation for Community College Education contacted us again about designing an invite and program for two upcoming events. We decided to keep a modern look with a touch of prestige like we did the prior year. 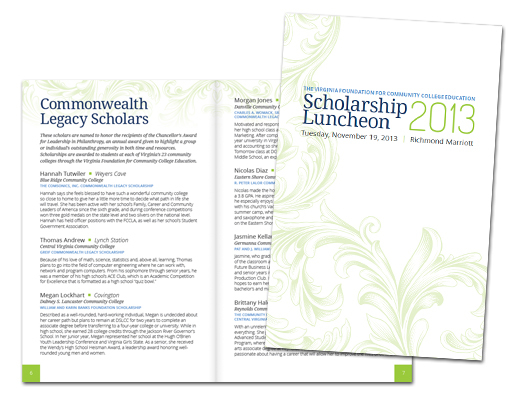 The sample above shows the two invites that were inserted together as well as the program for the Scholarship Luncheon event.